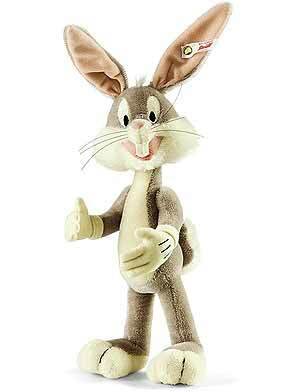 Bugs Bunny is made out of grey/white mohair with embroidered eyes. He is stuffed with synthetic material and is 3-way jointed (arms and head). He comes with box and certificate. From the middle of September the streetscape of the alpes changes...people of all ages stroll along in traditional costumes, celebrating "Volksfest" in their "Dirndl" dresses and "Krachlederne" leather shorts. 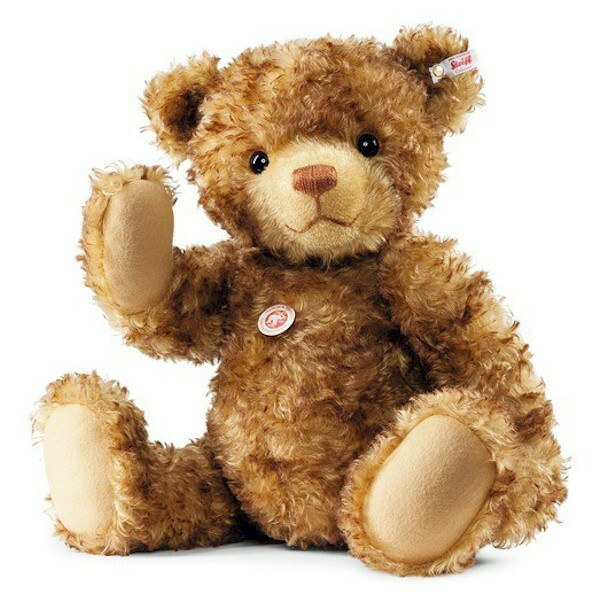 Alpenglück Teddy bear happily joins the throng. Through his curly hair in grey mohair you can make out an olive green undercoat, paws and sole reprise this trendy colour. 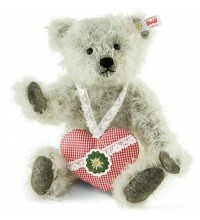 And of course he thought of his dearest and brought them a present - a heart shaped pendant in checked cotton fabric with lace and an embroidered "Edelweiss" on green fabric. 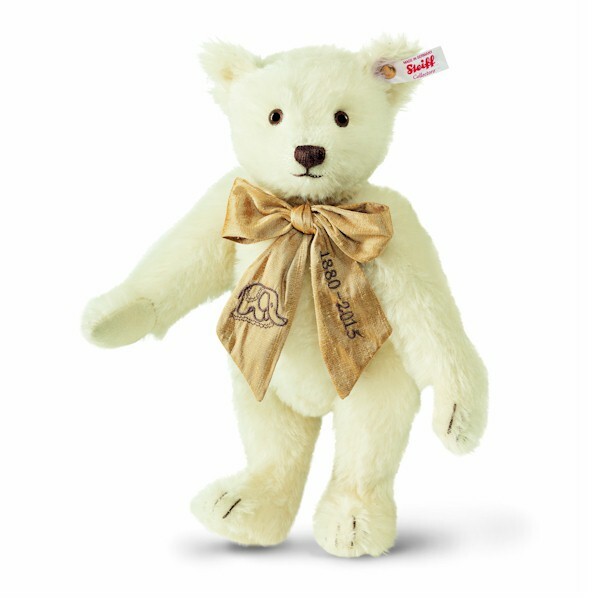 Alpenglück Teddy bear is 31 cm in size, 5-way articulated and has a gold-plated "Button in Ear". 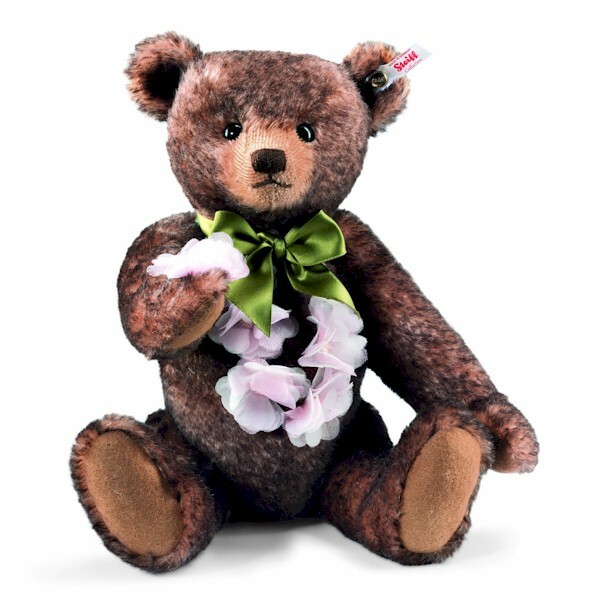 The edition is limited to 1,500 pieces. 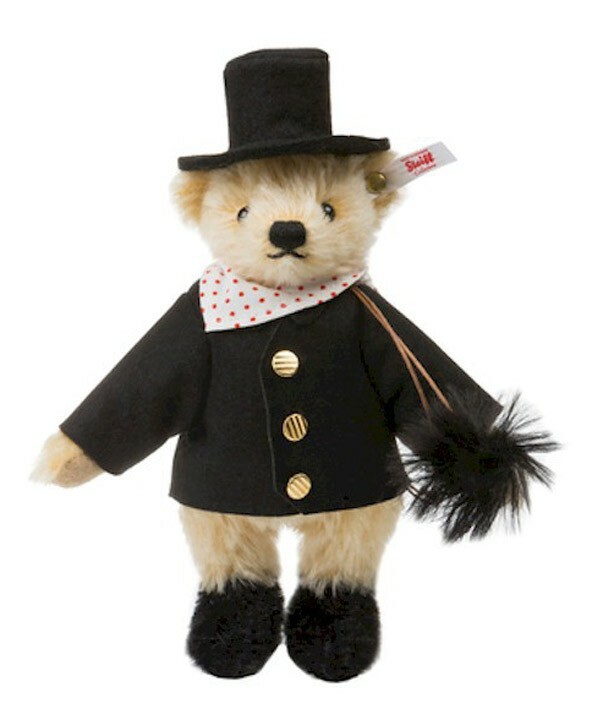 He is not available in Germany, UK and Ireland. Not available in Germany, UK and Ireland. DOGMATIX, the cute little friend of Obelix has first appeared in the album "Asterix and the Banquet" in 1965. Dogmatix has celebrated in 2015 his 50 Anniversary! He owes his name to a contest in the magazine Pilote (chosen by the authors from among suggestions such as "Patracourcix" or "Papeurdurix"), Dogmatix plays an important part starting with Asterix and Cleopatra, his infallible sixth sense allows him to save our heroes from certain death in a pyramid (true, there are worse places to be entombed, but none the less!). He later becomes famous for his environmental concerns which are very much ahead of their time (he can´t bear the thought of anyone harming a tree). And his success seems to know no bounds since Albert Uderzo, who has never disguised his pleasure in drawing Dogmatix, has given him a regular role in the albums for which he writes the scripts. Much to Asterix´s surprise, he even gave Dogmatix the gift of speech in the 2003 story Chanticleerix, which can be found today in the Asterix and the Class Act album. Idefix is European Exclusive (exlc. Duitsland, UK en Ierland). Idefix is made of white and black mohair. 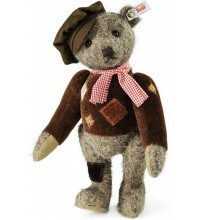 He is stuffed with synthetic filling material, has a mohair nose and embroidered eyes. Everyone loves chocolate. 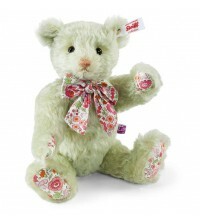 And everyone will love Steiff's delightful Spring creation called Bosom Bunnies. 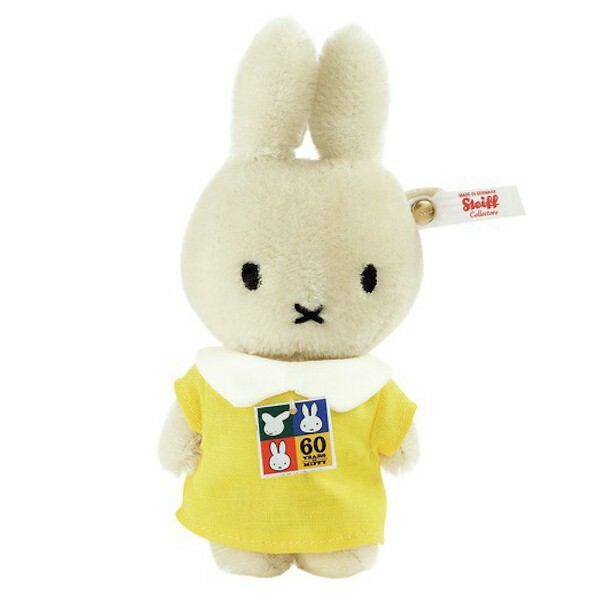 It's a traditional 8 inch 'Niki-style' Steiff bunny. 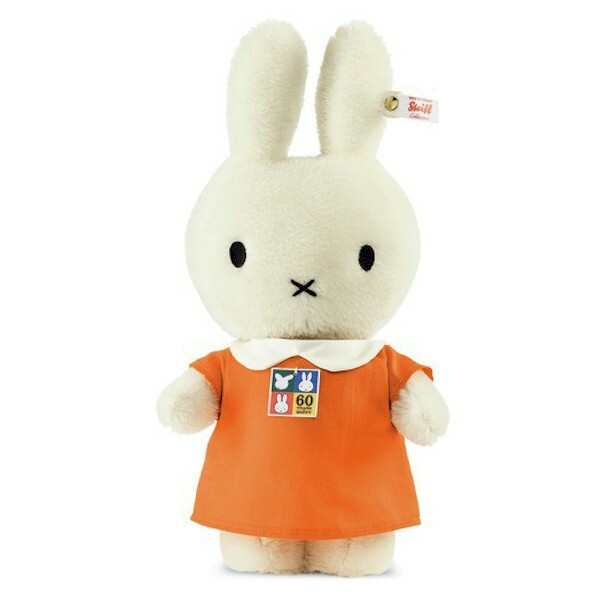 She is sewn from sumptuous yellow mohair and cream alpaca holding a cold cast resin 'chocolate' bunny like the ones you remember from childhood. 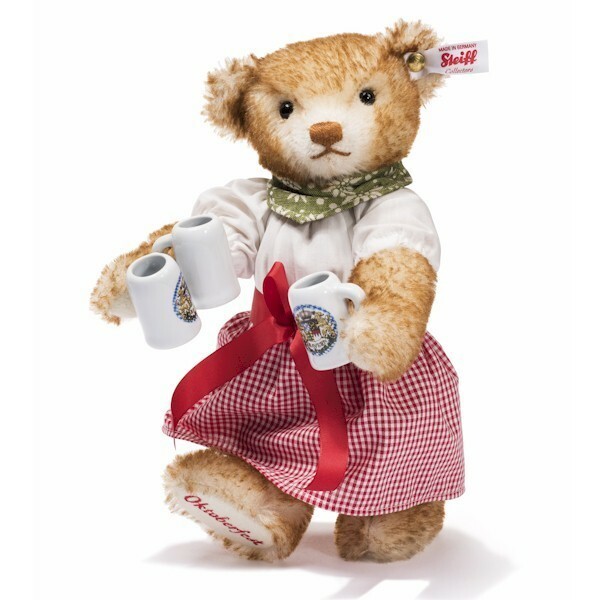 Perfect for every Easter basket and adorable in your year-round Steiff display. 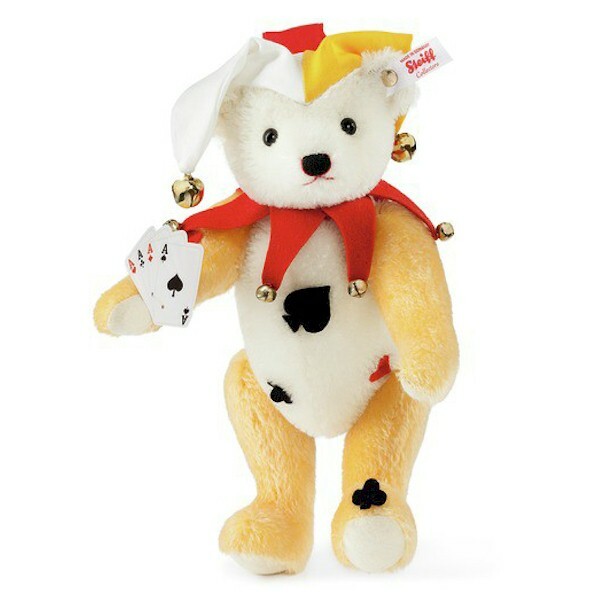 Makes a thoughtful gift or a prized addition to your collection. Love chocolate? 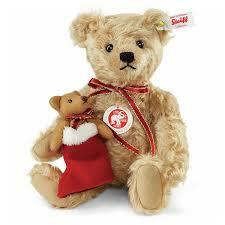 Love Steiff? 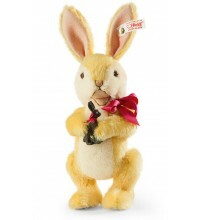 Then Bosom Bunnies is for you! A 2015 North American exclusive edition limited to only 1500 pieces. 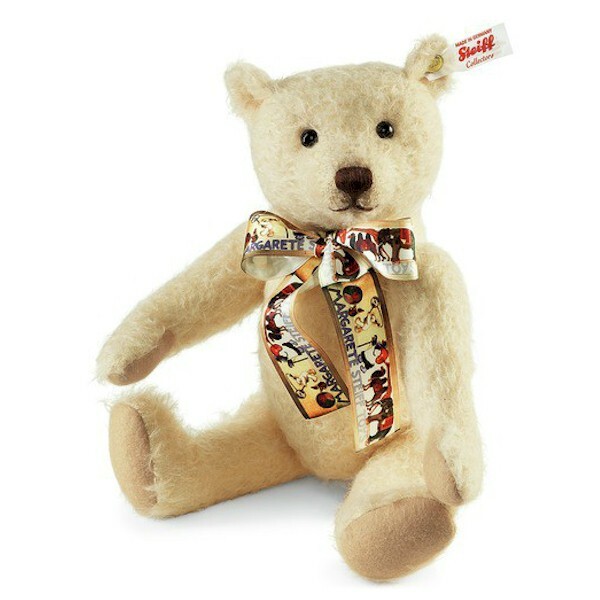 2015 Steiff EAN 678141 Fragment Tokyo Teddy bear keyring pendant, 8cm. 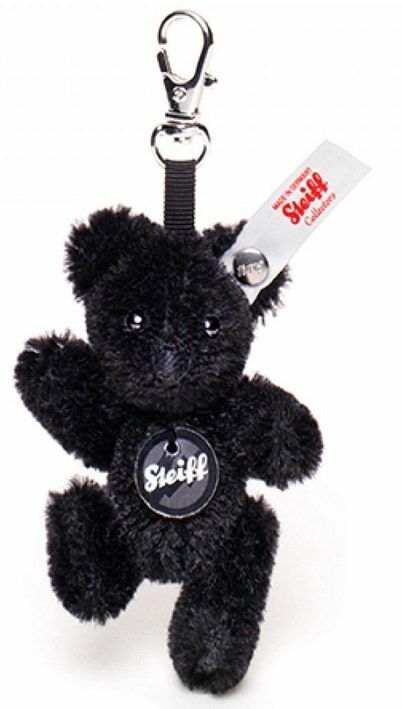 The Fragment Design Keyring is made by Steiff in 2015, is 8cm and made of black mohair. 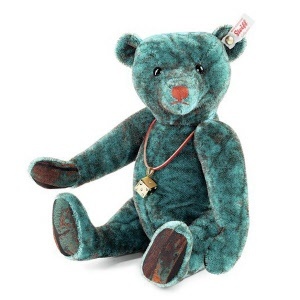 He is specially made and designed by the Japanese company Fragment design in Japan. This keyring is 8 cm. 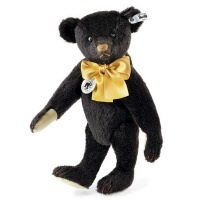 / 3.2" tall and made out of black mohair. 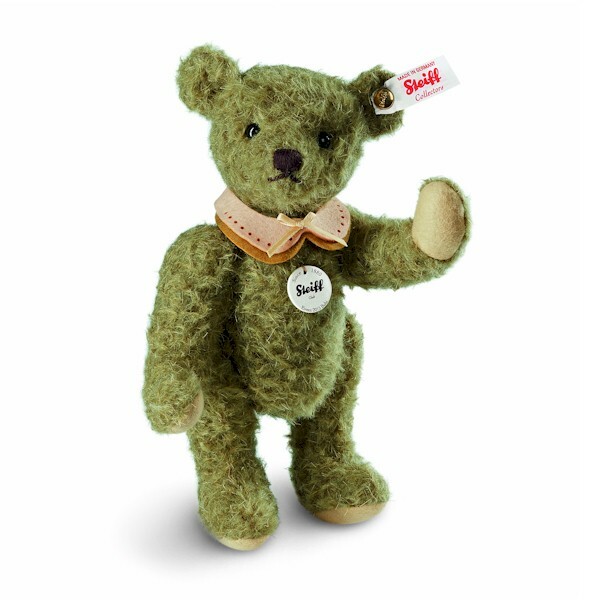 He is fully jointed, filled with synthetic filling material, has a hand stitched nose and safety eyes. 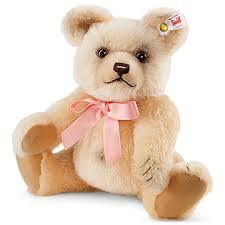 The surface of this teddy bear can be cleaned by hand. 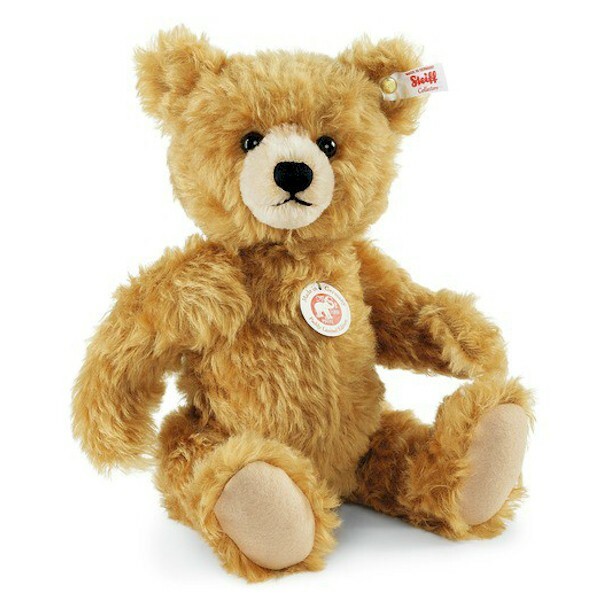 2015 Steiff EAN 677823 Teddy bear keyring pendant 135 jaar Steiff, 8cm. 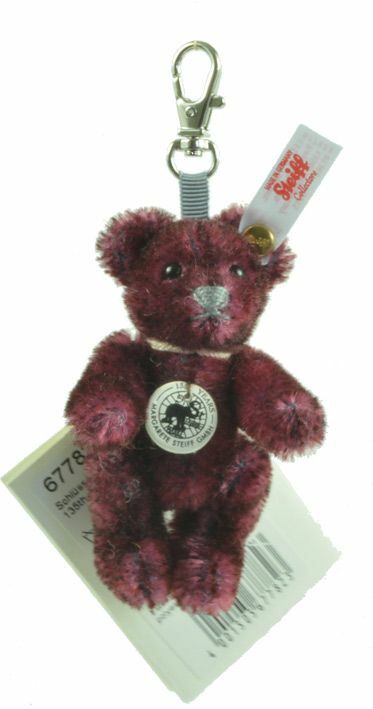 This keyring made by Steiff in 2015, is 8cm and made of Bordeaux with black tipped mohair. 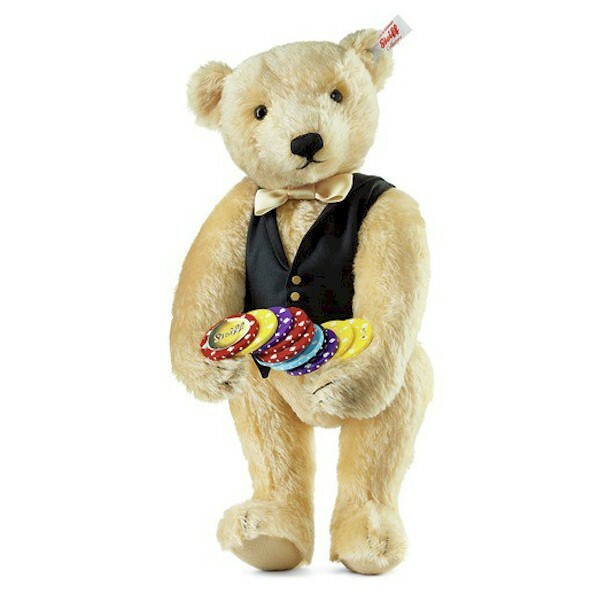 He is specially made for the 135 anniversary of Steiff. 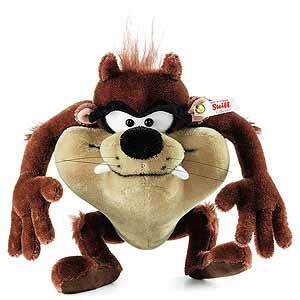 Tasmanian Devil is made of russet beige mohair, has safety eyes and is filled with synthetic filling material. 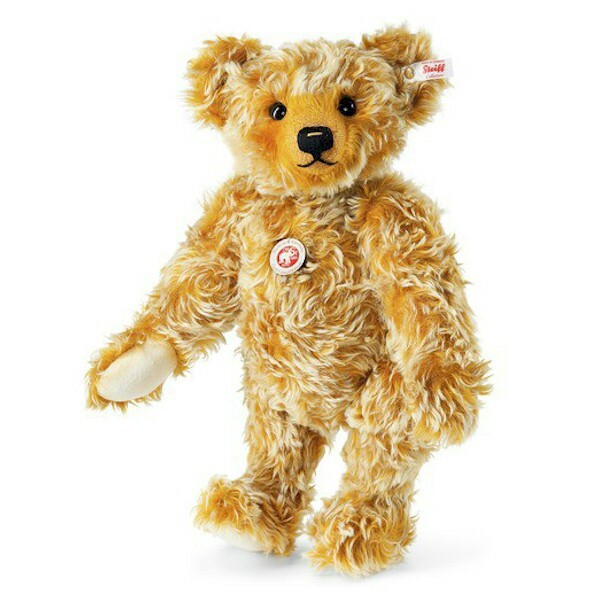 He is 4-way jointed and comes with box and certificate.